What is The Life Expectancy of Canines with Cushings Disease? When a dog has too much Cortisol in their body (usually in their adrenal glands), it can result in them getting Cushing’s disease. It is the most common hormone-related disease in dogs. There are other causes of this disease in dogs like taking medicine with Cortisol in it for a long period of time or having a tumor in the adrenal gland. However, the main cause of this disease in dogs is their bodies producing too much Cortisol. Most of the dogs that get Cushing’s disease are over eight-years-old. The dog breeds that are more likely to get this disease are Boxers, Dachshunds, Poodles, and Terriers. It is also more prevalent in female dogs. Excessive Thirst and Hunger- Dogs with this disease are known to drink a lot of water. They are often hungry as well. Hair Loss/Bald Patches- They begin to appear on the dog’s coat. Behavioral Changes- Cushing’s disease can cause dogs to lose their energy and enthusiasm. It can also cause a dog to not be as friendly as they usually are to people. Treating Cushings disease in dogs involves regulating the hormones that are produced by the adrenal glands. 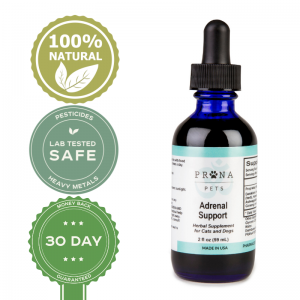 There are medications that a dog can take to reduce the overproduction of adrenal hormones. Most of the dogs that have this disease are treated with medication. If this disease is caused by tumors in the adrenal glands, then the dog will need an operation and chemotherapy and radiation treatments may help them as well. If the disease is caused by taking medicines with Cortisol in them, the dog needs to be weaned off of the medication a little at a time. A more recent and less invasive treatment for Cushing’s disease is photonic therapy treatment. This treatment is similar to acupuncture. The difference between this treatment and acupuncture is that a special red light is used to stimulate acupuncture points instead of using needles. It was pioneered by a leading veterinary surgeon twenty years ago. This treatment is becoming very popular because a dog owner can treat their dog at home. After they buy the kit, there are no additional fees that come with this treatment. 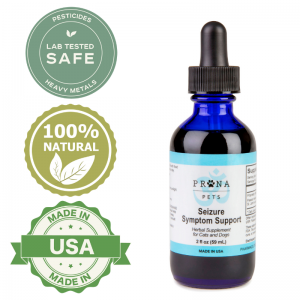 Dog owners also love that this treatment is all natural and has no side effects. Just like with most diseases, there are natural treatments as well. Natural Treatment for Cushing’s disease in dogs includes Milk Thistle, Fish Oil, Vinegar, and Melatonin and Lignans. Milk Thistle is a European medicinal plant that veterinarians use to normalize liver enzymes. It helps bile travel through the liver and brings the cells in the liver back to life. Cushing’s disease can cause elevated liver enzymes in dogs, which shows what effect Cushing’s has on the liver. A dog owner can purchase Milk Thistle at any drug store. Fish oil helps Cushing’s disease due to the fact that it has a direct effect on the skin and the lipids in the bloodstream. A lot of dogs that have Cushing’s have inflamed skin. Fish oil is the ideal treatment for skin that has become inflamed. Dogs that have this disease also have excess lipids in the bloodstream and fish oil helps lower the bad fats that circulate throughout the bloodstream. Fish oil can be bought anywhere over-the-counter medicines are sold. Vinegar treats the external skin symptoms that are part of having Cushing’s. It helps treat viruses, bacteria, fungus and helps restore the skin’s natural PH balance. It can help treat the skin infections that are a symptom of this disease. It should be mixed with an equal amount of water and sprayed on a dog 2-3 times a day. White dogs should be treated with white vinegar because apple cider vinegar can discolor their fur. Melatonin is a hormone that is made by the pineal gland. It helps regulate hormones and the body’s circadian rhythms. It is also a natural hair loss treatment for dogs, cats, and ferrets. Plant Lignans when taken with Melatonin help treat some of the symptoms of Cushing’s. Supplements can be an excellent way to make sure your dog gets all the natural ingredients it needs. I personally recommend Prana Pets Cushings Killer Combo. This natural treatment for the Cushings disease in dogs really works wonders. The ingredients in each product work specifically not only to control the symptoms but fight the disease directly as well. One product, Hemp Oil for Pets, is known for its tumor-fighting capabilities. The canine Cushing disease life expectancy depends on where the disease originated. If it started in the adrenal gland, the life expectancy of canines with Cushings Disease is usually about three years. If the dog has a pituitary gland issue, then they can be expected to live about two years. The younger a dog is when their Cushing disease is diagnosed, the better their canine Cushing disease life expectancy will be.Other health problems, like diabetes and infections, can reduce the life expectancy of canines with Cushings Disease. Other health problems like tumors that spread from the pituitary gland in the brain or blood clots into the lungs can also appear not long after a dog starts treatment for this disease. When health problems like these arise, the owner of the dog must decide whether it is a good idea to put their dog to sleep or not. Even though Cushing’s does have treatments, sadly, there is no permanent cure for this disease. Treatment can help a dog live longer, but the disease often will either kill a dog or make them so sick that their owners decide to put them to sleep. It is a difficult disease for the dog and their owners because it can be treated but not cured. It is unknown exactly how long a dog with this disease will live. Therefore, their owners should enjoy each day with their dog and love them as long as they are alive. Thank you for the info. I have a 12 to 13 yr. Min Pin that has very high chemistry readings. Possible Cushings, tumor, or dental problems. Last yr. when we rescued him we did a dental, but sadly he had never been veted or bery little. This is his 2nd bout of antib., which he will be on lower dose eventually. Not sure we will do treatment for Cushings. Want to have him as much quality (be eating).